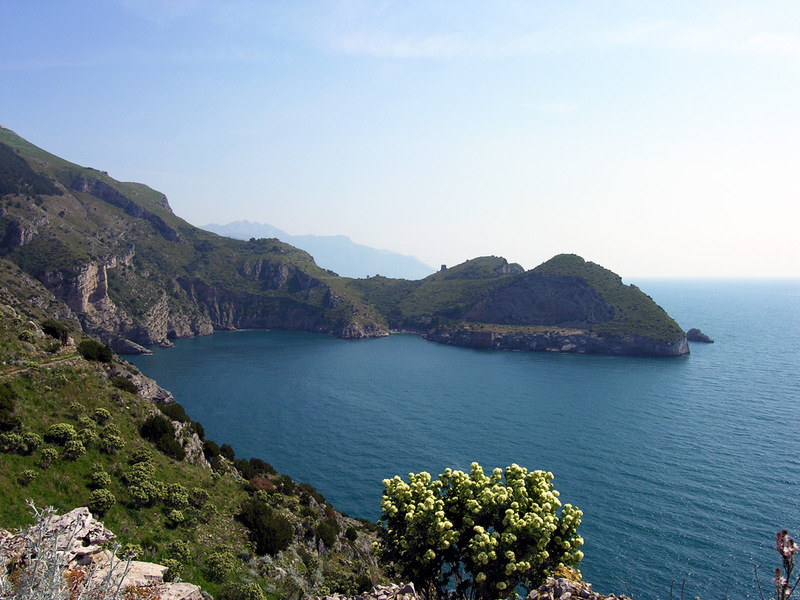 The region of Campania marks the real starting point of southern Italy. The Greeks built some of their most impressive temples here and it became a sought-after place in Roman times. 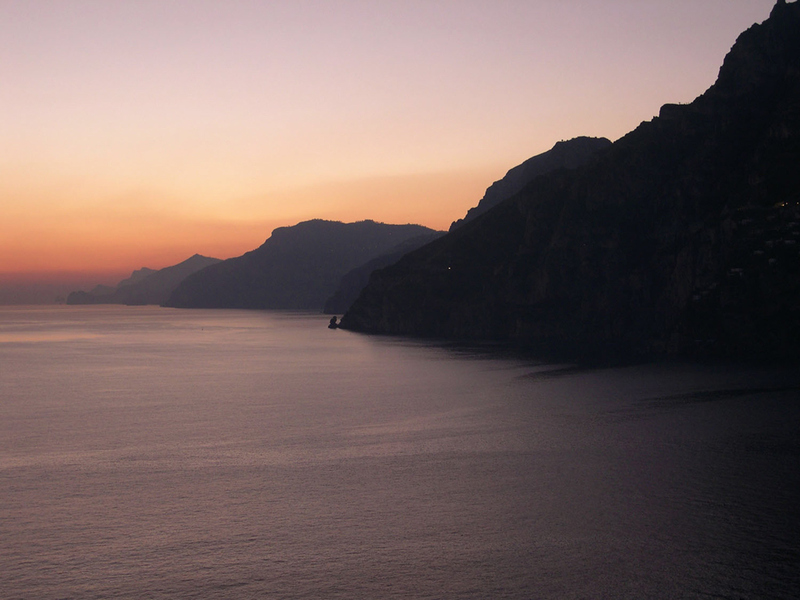 The Romans named it ‘Campania Felix’, the ‘Happy Land’, a ‘true paradise on earth’. When travelling through this region, one is simply overwhelmed by its wealth of nature and cultural sights. 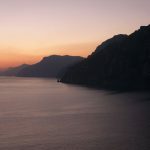 There is the great city of Naples, and amazing Roman sites like Pompeii, but also beautiful countryside, wonderful islands, like the world-famous Capri, and of course, stretches of spectacular coast, like the spectacular Amalfi Coast. However, Campania’s real secret is located south of Salerno, and immediately south of the wonderful Greek temples of Paestum. 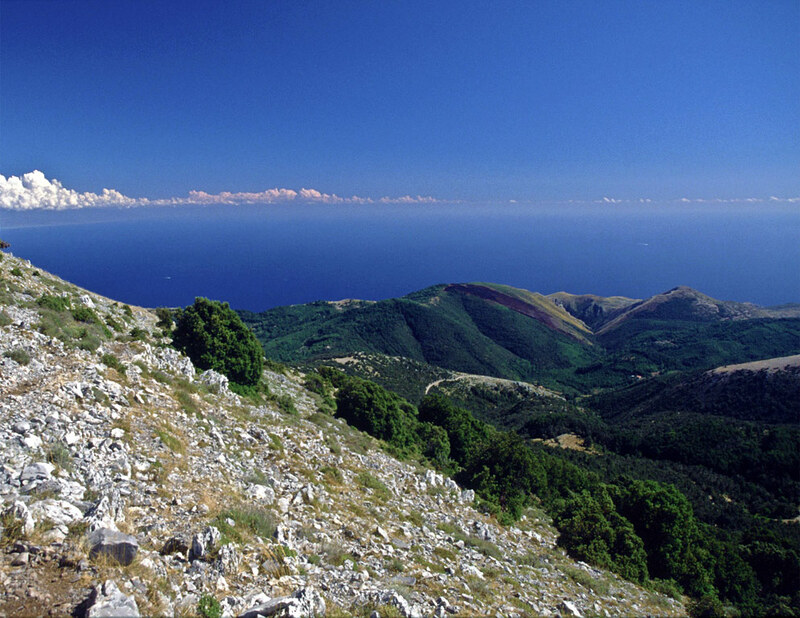 Here the coastline bulges out into an expanse of mountainous landmass known as the Cilento, now a National Park with World Heritage listing. It stretches from the Tyrrhenian coast to the foot of the Apennines, and it includes the peaks of the Alburni Mountains, Mt. Cervati and the coastal buttresses of Mt. Bulgheria and Mt. Stella. The extraordinary naturalistic richness of the heterogeneous territory goes hand in hand with the mythical and mysterious character of a land rich in history and culture: from the nymphs Leucosia and Kamaraton, to the beaches where Palinuro left Aeneas, from the ruins of the Greek colonies of Elea and Paestum to the wonderful Certosa of Padula. 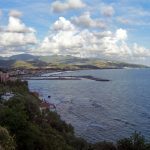 Inland the Cilento is largely undisturbed by the 21st century and you will enjoy visiting medieval and quaint villages where the traditional way of life is still evident. 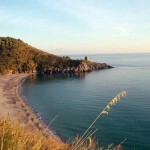 This tour gives you a taste of the inland areas of the Cilento. 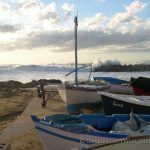 Starting in ancient Paestum, it takes you up to Monte Stella, the real ‘Heart of the Cilento’, and along the beautiful Cilento coast between the charming village of Castellabate and Marina di Camerota. Inland the Cilento has remained largely undisturbed by the 21st century and you will encounter only a few other tourists along your way. 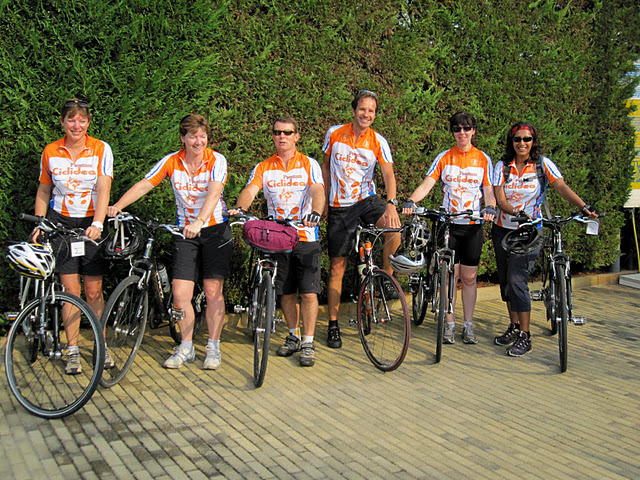 You will cycle past world-famous cultural sites, through pristine natural areas and past a dreamy coastal scenery. 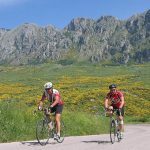 Following small country roads you will pass by rough mountains as well as an attractive countryside composed of vineyards and olive groves. 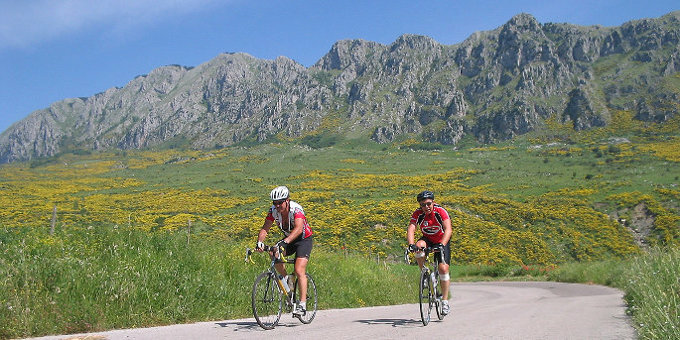 On your first day, you will cycle from the plain of Paestum towards the inland and along the Cilento foothills offering wide views of its marvellous coastline. 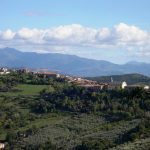 The next couple of days you will explore the mountainous inland of the region passing Trentinara, which is spectacularly located on top of a sheer rock cliff, and stop in Stio, a typical Cilento village. 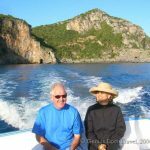 You will then make your way to the fishing village of Marina di Casalvelino just beneath Monte Stella and then continue your tour all around Monte Stella, dotted with several typical medieval hamlets. 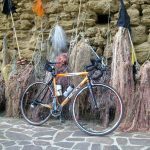 The next day will guide you along the coast towards the South of the Cilento region including several options to make some great climbs! N.B. If you arrive one day earlier you have the chance to pay a visit to the world-famous archaeological museum in Naples, where all the artefacts from Pompeii and Herculaneum are displayed, and/or the equally wonderful Capodimonte museum. It is also possible to make a daytrip to Pompeii. Several hotels can be booked in Naples and Salerno, according to your wishes (either ‘downtown’ centrally located, or near the harbour or train station, ranging from 3- to 5-star). Arrival in Naples and transfer to your hotel in the historic centre of Giungano, a village overlooking the Paestum plain. After checking in at the hotel, you can enjoy a nice walk through the village and a tasty ‘aperitivo’ in one of the bars or relax at the hotel pool. 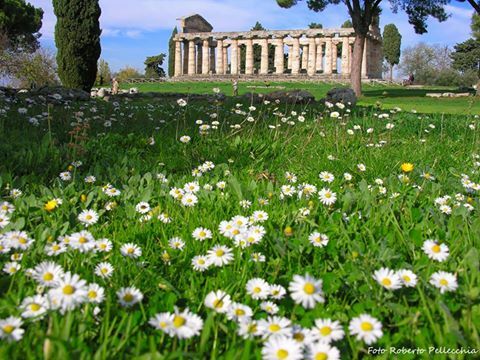 On today’s tour we will discover the small medieval towns that are perched on the hills surrounding the Paestum plain. We start with a descent to the wide plain of Paestum located just below Giungano.Once this was the area of the ancient Greek town of Paestum. 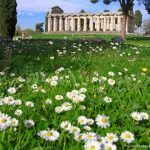 With its famous Doric Temples, Paestum is listed as an UNESCO World Heritage site and its remains give us an authentic idea of the origins of the former Greek colony on the Cilento coast. Cycling around the 5 km long walls surrounding the remains of the ancient town, we will get a comprehensive overview of the archaeological site. After a quick coffee or cappuccino made with buffalo milk in one of the buffalo farms nearby, we continue our ride towards Prignano Cilento, which is located on one of the hilltops surrounding the Paestum plain. In Prignano we meet Antonio, who will welcome us at his workshop dedicated to the processing of the white Cilento figs, an old tradition dating back to the mid-15th century. At his workshop Antonio will introduce us to the preparation of the figs and we will have the chance to try some of the tasty results! After the visit to the factory of Santomiele, we will continue southwards until we reach a small road on the right leading us to the tiny village of Finocchito. From here we continue in direction of Cicerale. The name “Cicerale” derives from the Latin expression ‘Terra quae cicera alit’, the ‘Land that feeds the chickpeas’. Within the area, Cicerale is indeed well-known for its production of chickpeas. To keep the cultivation of the legume alive, the municipal administration allocates to every resident of Cicerale a handful of seeds for cultivation. 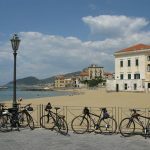 We will cycle on the road, which circles the largest water reservoir of the whole Cilento National Park: the Aleno Dam, which we can overlook from the central square of Cicerale. From Cirerale the road then leads us back to Giungano giving way to a spectacular view over the Cilento, up to the Amalfi Coast and Capri. 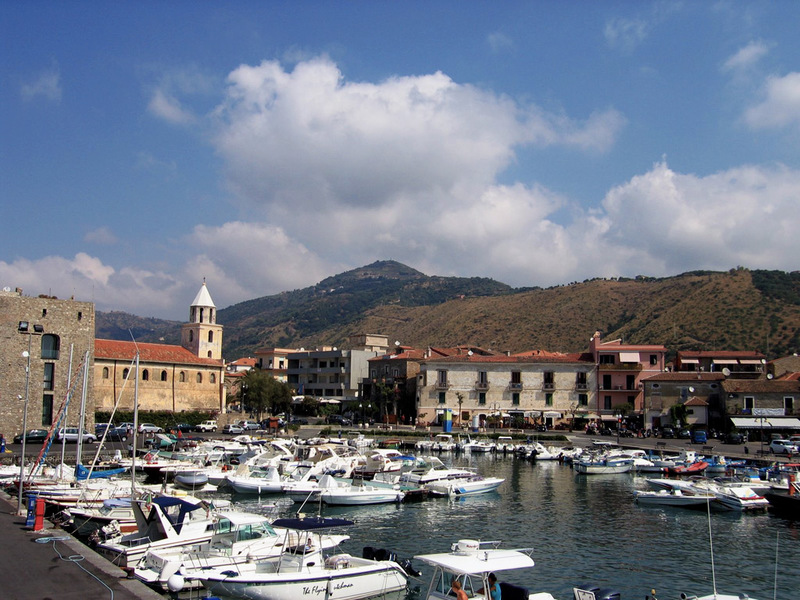 Today we are heading towards Stio, situated right in the heart of the Cilento. We cycle again in the direction of Paestum and start our warm-up for a few kilometres along the plain. Then we will go on our first ascent of the day that will take us to the sanctuary of ‘Madonna del Granato’. A steep but short climb leads to the Church, which is located on a promontory overlooking the plain. From here we will enjoy a spectacular view over the area, the ideal reward for cycling all the way up to the top! 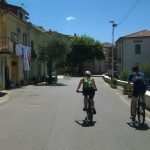 We will then continue our ride on the main road again with a long but steady ascent taking us to the town of Capaccio. Just outside the town centre we will stop at the farm of Nicola and his family, who produce one of the best goat cheeses of the region. Nicola will show us his farm and we will have a chance to taste some of his cheese and maybe also some of his homemade ice-cream exclusively made from goat’s milk. 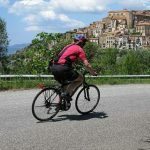 After the visit to Nicola’s farm, we cycle through a lush countryside to the town of Trentinara, spectacularly located on top of a sheer rock face. 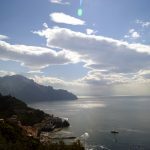 We take our time to walk around the beautiful town centre overlooking the whole territory reaching up to Salerno. From Trentinara the stretch to Stio is mostly flat as it leads us through a plateau between the hilly central part of the Cilento. The road is beautiful and thus the perfect completion of our tour today! In the evening, we will meet Domenico, a well-known instrument maker in the Campania region, who will show us his manufactured guitars and some of his wooden instruments stored in his beautiful workshop. Last but not least, we will meet Giovanna, an excellent chef, who will introduce us to the simple but very tasty ‘Cilento cuisine’. Her specialities consist of traditional dishes of the rural areas of the Cilento such as ‘Ciccimmaretati’, a typical Cilento soup prepared with various legumes and cereals, or fresh gnocchi with pecorino cheese. Today we will mostly cycle downhill (total elevation +780m/- 1,454 m) as we leave the centre of the National Park and head towards the sea. From Stio we cycle towards Moio della Civitella passing through i.a. the villages of Gioi and Cardile. Before reaching Moio della Civitella, a secondary road leads us through a chestnut wood to the top of a promontory known as the ‘Civitella’. 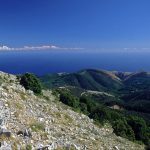 Here we can walk through the remains of an ancient military outpost, which in the past secured the border of another important Greek town of the Cilento: Elea (or ‘Velia’ as named by the Romans), our final destination today. From the top of the Civitella hill, we cycle to the historic centre of Moio, where it is worth visiting the Rural Life Museum. The collection of tools, utensils, furniture and farming equipment will provide an interesting insight into the life of the Cilento people during the 19th century. Before we leave Moio, we will have lunch at Pasquale’s restaurant. This place is only known by locals a Pasquale generally promotes his restaurant exclusively with his selection of appetisers made with fresh and high quality products. 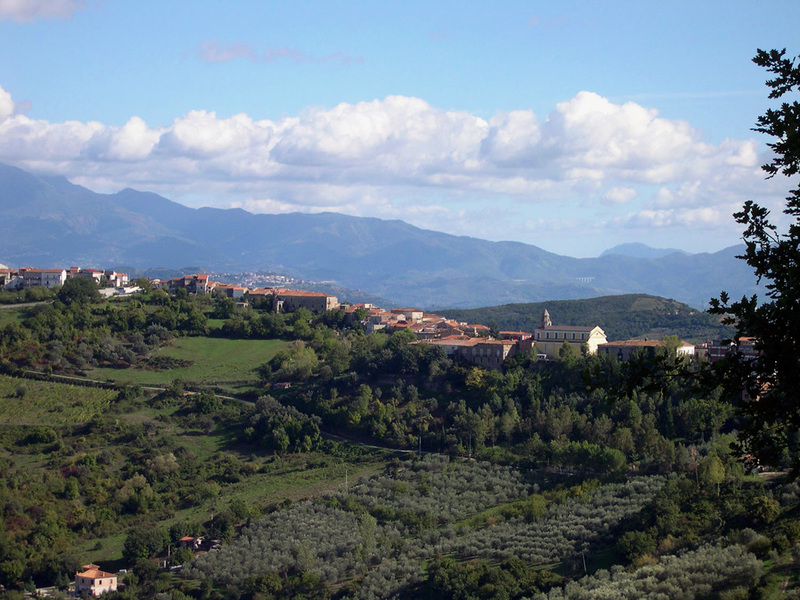 After lunch and a good coffee, we head up towards Vallo della Lucania, the administrative centre of the Cilento area. 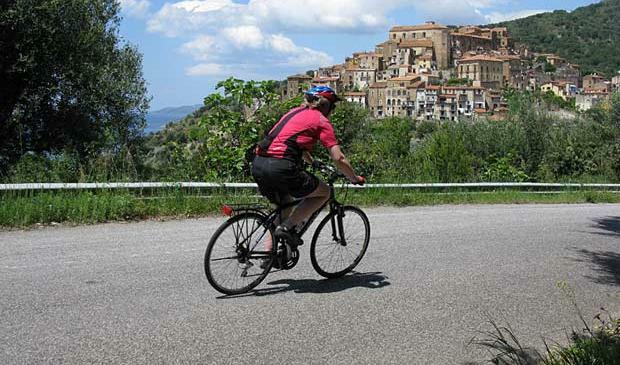 We won’t enter the town, but will continue uphill towards Ceraso, where we then start our descent to Marina di Casalvelino, our final destination for today. Today’s ride will take us around Monte Stella. We leave our hotel for a brief warm-up on a short flat stretch and then start our ascent passing through several villages located at the foot of the mountain. From a cyclist’s point of view, although partly with some challenging bits, the road running along the slopes of Monte Stella is absolutely fantastic as it combines stretches of continuous ascents with stretches, where you can catch your breath again and admire the beautiful Mediterranean maquis around you. 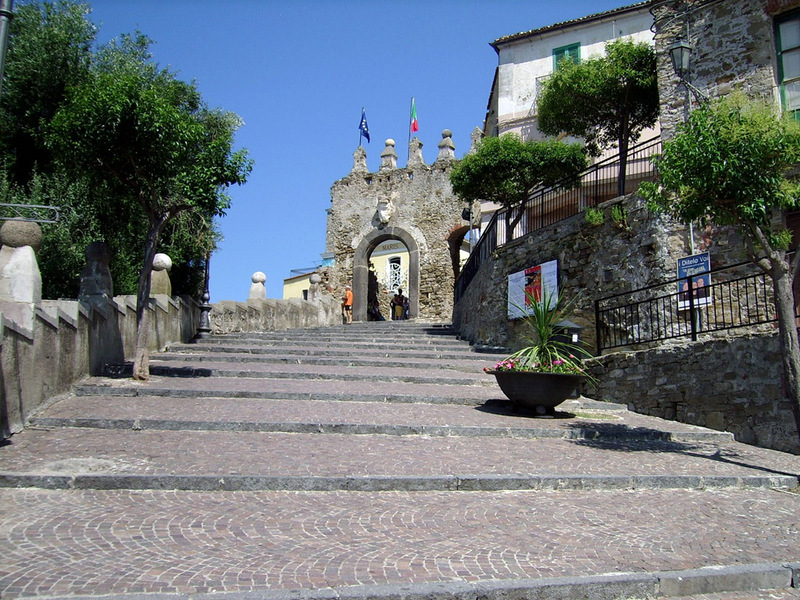 The ascent up to the top of Monte Stella ends in the village of Perdifumo. Here we have almost completed the roundtrip of the mountain and we continue our ride, now with the sea in front of us again. 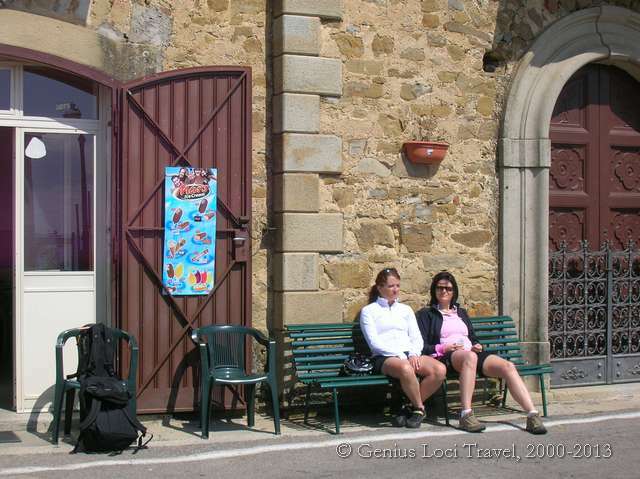 We take a panoramic road that leads to the stunning medieval village of Castellabate. 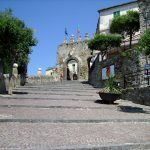 In Castellabate, we will take some time to relax, have lunch in one of the restaurants in the main square and stroll around the village with its beautiful Abbey high above the bay. 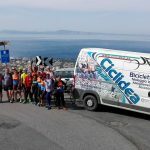 We then leave Castellabate and start our descent towards the coastal road cycling on exhilarating roads (with several switchbacks) that overlook the sea. The road along the coast then alternates long steady ascents with long descents with the sea on our right hand side. 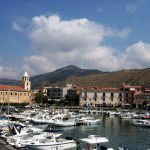 The road takes us to the beautiful fishing village of Acciaroli, where we will stop for a quick coffee or cappuccino at the harbour. We then continue in the direction of Pioppi. In Pioppi, we will have the opportunity to meet Delia Morinelli at her restaurant ‘Casa di Delia’, who is a sort of living institution of the so-called ‘Mediterranean diet’. 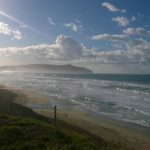 Delia has worked for a long time as the housekeeper and cook of the American scientist Ancel Keys, who during the 1970s moved with his wife to Pioppi, where he then introduced the concept of the Mediterranean diet to the world. During a chat with Delia and a taste of her delicious specialities, we will have the great opportunity to learn more about the simple and smart lifestyle that has determined her whole life, certainly an excellent source of inspiration! 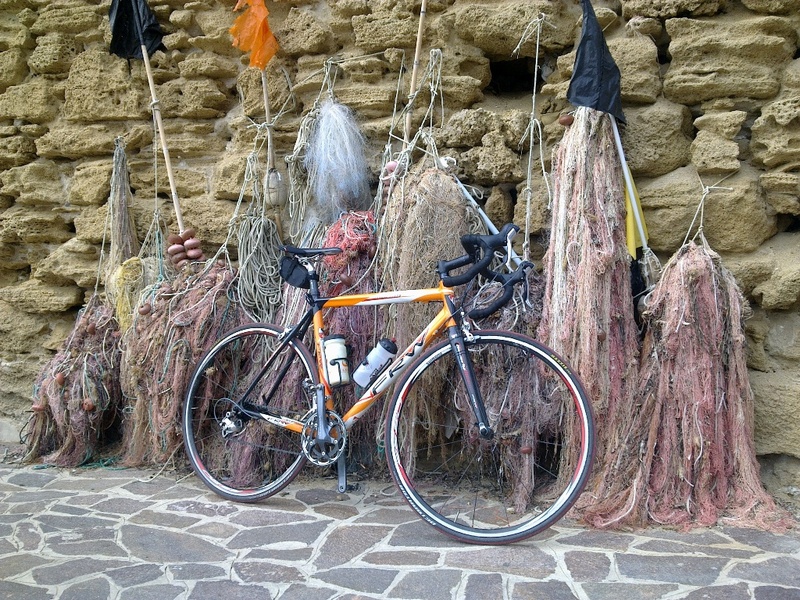 From Pioppi we eventually continue our ride to our hotel in Marina di Casalvelino. 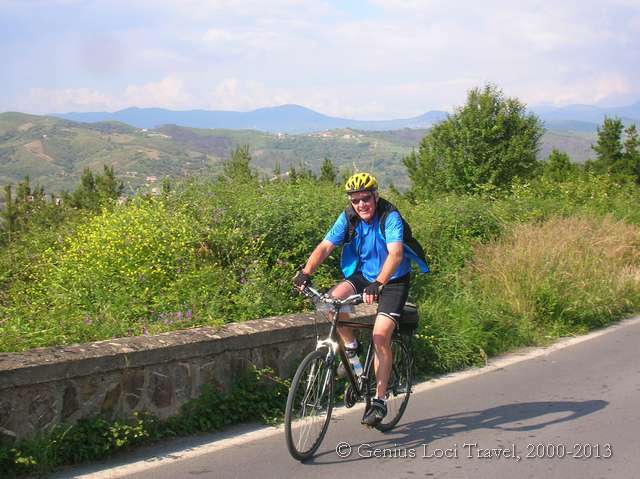 On the final day of our cycling tour, we will explore the Cilento coast. The road along the coast is a continuous up and down with the sea always in sight. 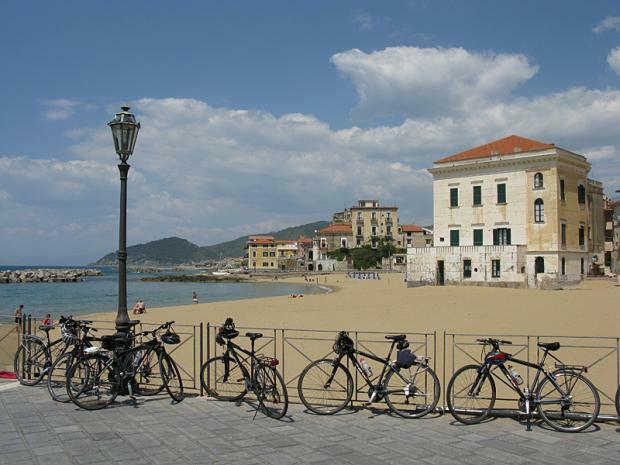 Leaving our hotel in Marina di Casalvelino, we cycle along a flat stretch to warm up our legs. Our first stop for a cappuccino or a coffee will be Ascea that we reach just after steadily ascending for a few kilometres. 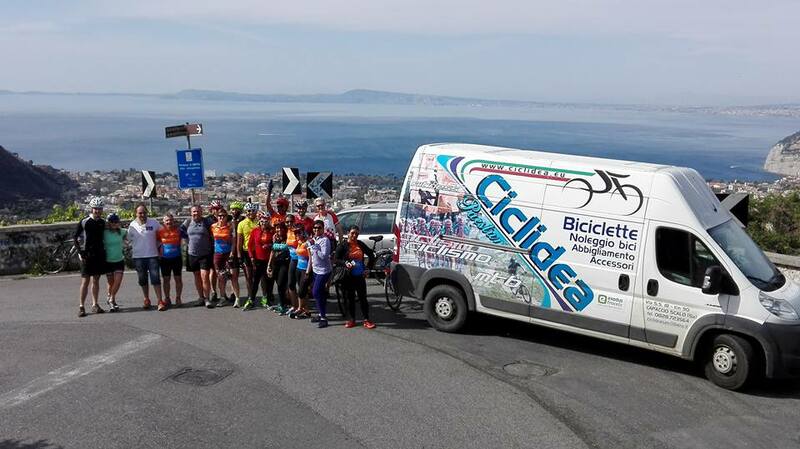 From Ascea, the road starts to descend and then continues uphill until we reach the beautiful town of Pisciotta. Pisciotta once was an important harbour of the Cilento, from where all the products of the area were shipped to Naples, the former capital of the southern Kingdom of Italy. Today, Pisciotta and its district Marina di Pisciotta are particularly famous for their centuries-old olive trees surrounding the two villages as well as for fishing anchovies with a special and ancient technique introduced by the Greek settlers, who once dominated the South of Italy. After a short walk through the streets of Pisciotta, we descend towards the small hamlet of Marina di Pisciotta hoping to watch the fishermen’s boats returning with their catch of the day. 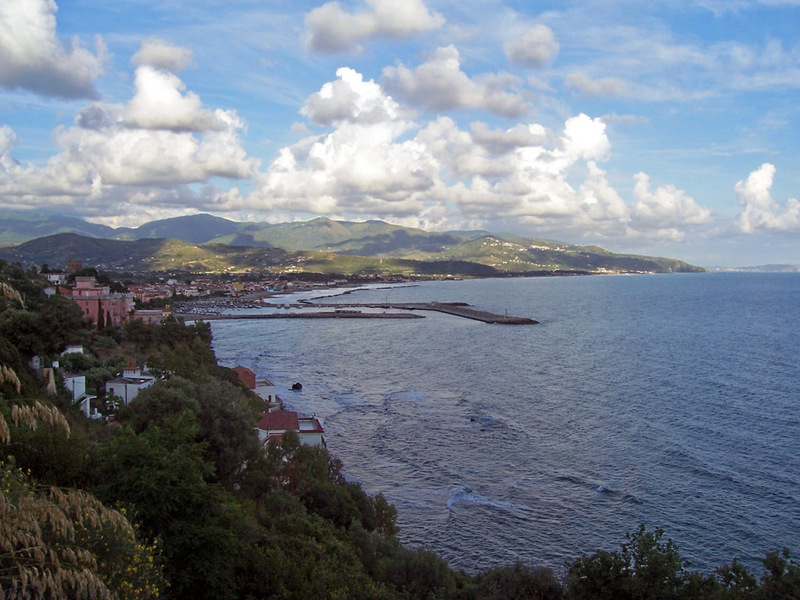 From Marina di Pisciotta our tour continues towards the white beaches of Marina di Camerota, one of the most important coastal villages of the Cilento, where our Grand Tour eventually ends. 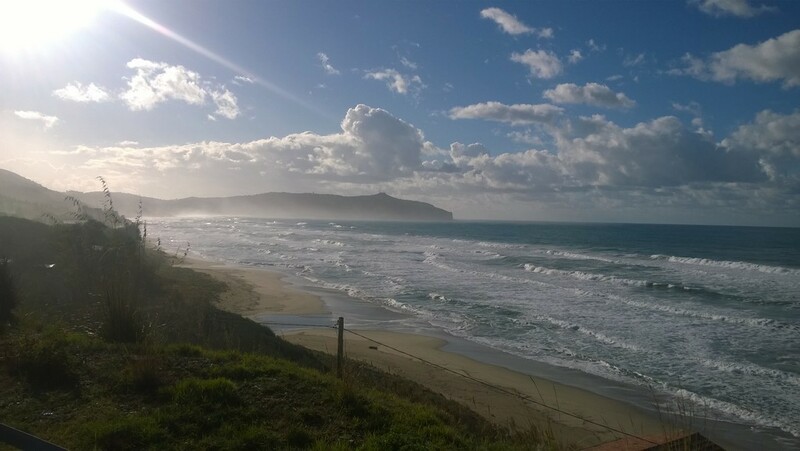 Today you will go on a coastal walk along one of the most unspoilt stretches of coastline in southern Italy, with the chance to enjoy its perfectly clean seawater (certified by a ‘Blue Flag’). This is the so-called ‘Costa degli Infreschi’, named after the Roman harbour ‘Porto degli Infreschi’, where you can find a freshwater spring in a grotto. 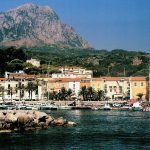 Your walk starts at the charming harbour of Marina di Camerota, where you have time for a short coffee, to buy picnic supplies and make arrangements for your return by boat (optional). 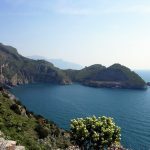 Then you’ll enjoy absolutely superb sightseeing along the ancient footpath, which connects the village of Marina di Camerota with the ancient Roman harbour. You will walk past a series of grottos and beaches, before reaching the first medieval watchtower. A short section more inland will take you past olive groves and scrubland. Then you descend to the next little inlet, which is reminiscent of the desolate beaches on a tropical island. 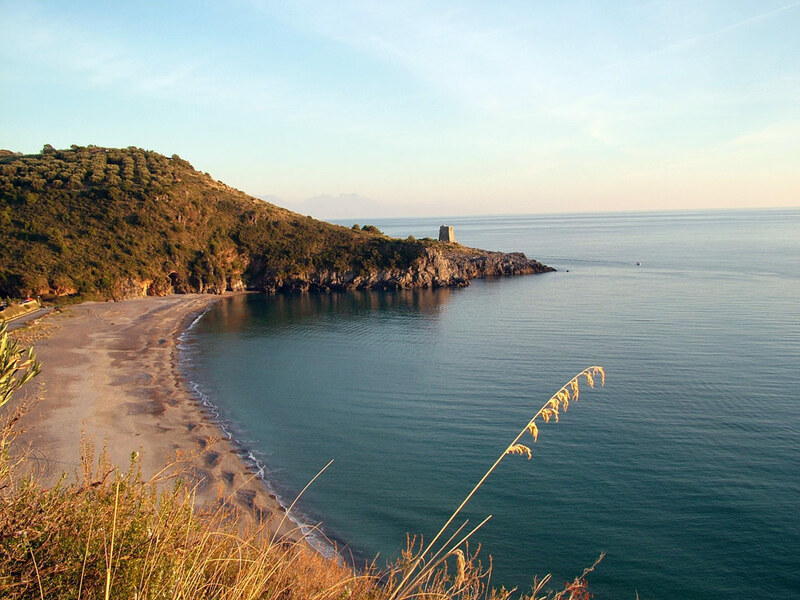 Another hour along a beautiful trail leads you to the ‘Porto degli Infreschi’. Upon your arrival on the beach, a lunch can be cooked on request by the local fishermen. 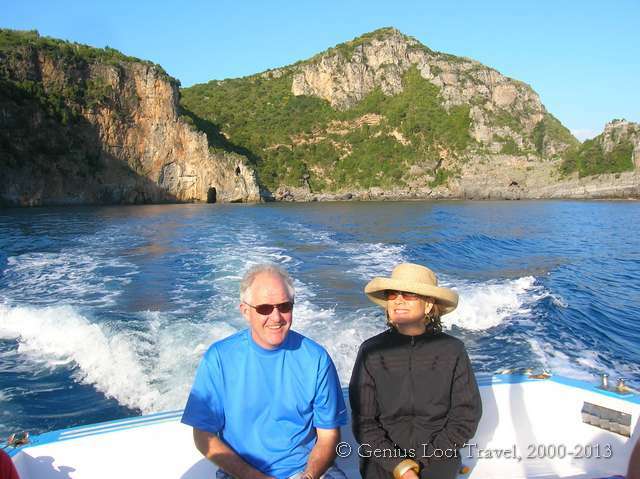 You return either on foot or by boat to Marina di Camerota. All nights are spent in nice, characteristic hotels or agriturismos (generally 3-star). All rooms have en-suite facilities. All breakfasts are included. Dinners are included on all nights except on the first night in Giungano and on the last night in Marina di Camerota, when you are free to organise your own dinner in one of the restaurants. No picnic lunches are included in the tour price, but these can be prepared for you by the accommodation holders, or materials for picnics can be purchased in the villages where you’ll be staying. Nights 1 & 2: The first two nights are spent in a nice 3-star hotel in Giungano. Night 3: Tonight you stay at a lovely B&B in Stio, right in the heart of the Cilento inland. 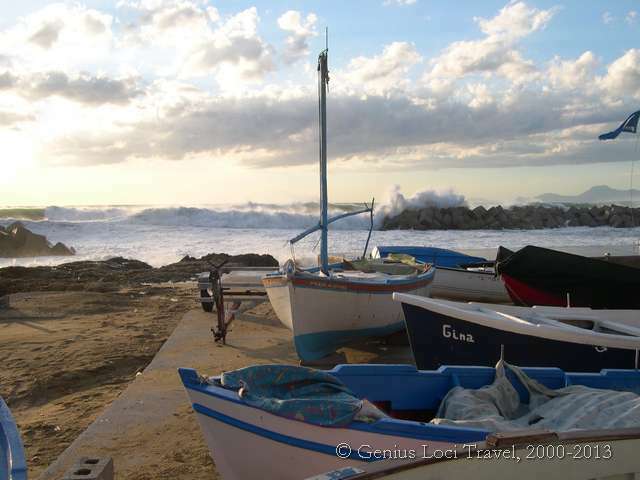 Nights 4 & 5: These nights are spent in a comfortable 3-star hotel in Marina di Casalvelino. Nights 6 & 7: You will spent the final two nights of the tour in a good quality 3-star hotel in the pittoresque coastal village Marina di Camerota. Moderate (3,5): Mostly moderate rides but inevitably with several climbs, only a few of which are really strenuous. All roads are well paved and mostly quiet, with little traffic except for some stretches near Paestum. 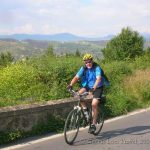 Fitness: Some experience of bicycle touring and a good general physical condition will certainly make your travel experience more enjoyable. You should be able to cycle for several hours a day even in hot dry weather conditions. Arrival: The tour starts in GIUNGANO. 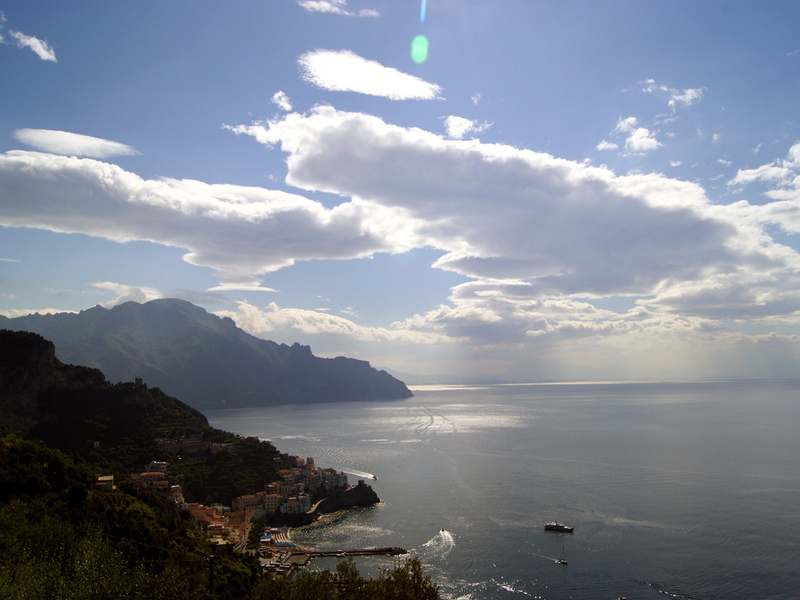 A private transfer from Naples airport to your hotel in Giungano is included. 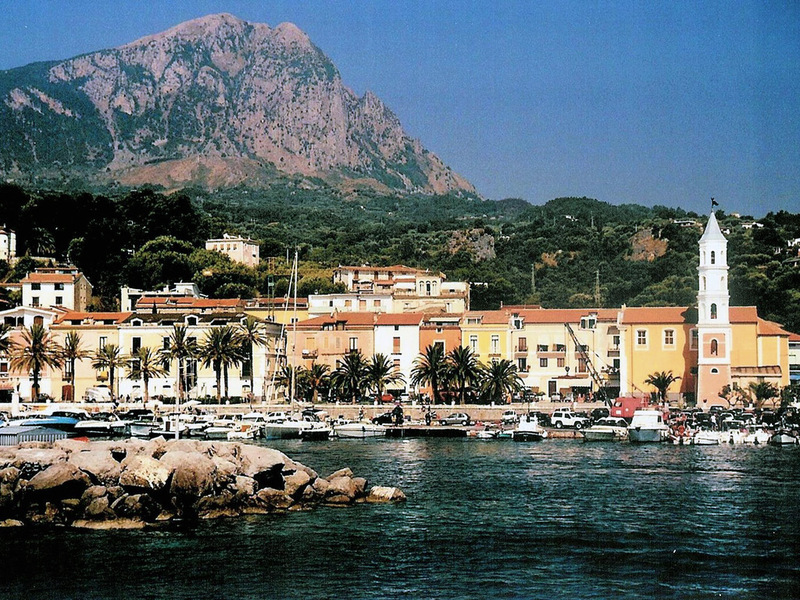 Departure: The tour ends after breakfast in MARINA DI CAMEROTA on day 8. 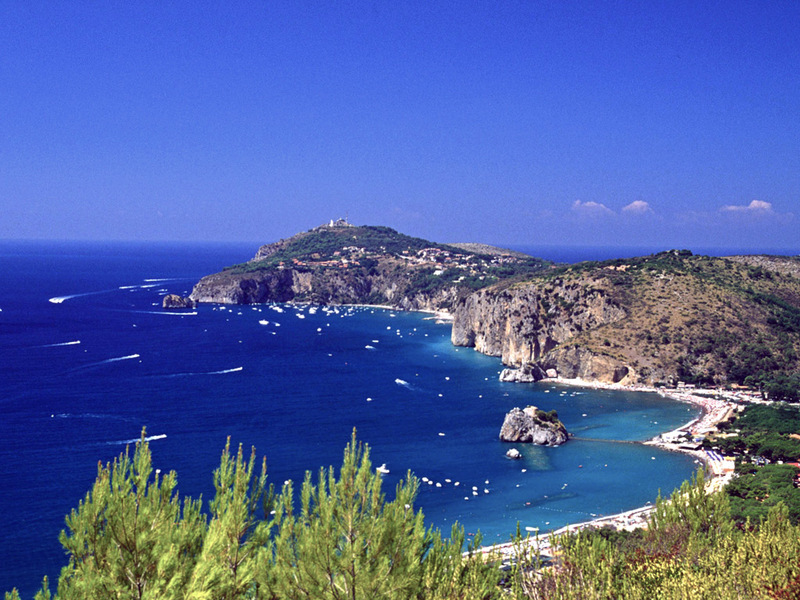 A private transfer from Marina di Camerota to Naples airport is included. Prices are valid for the seasons as indicated – and based on groups of minimum 4 participants. Private departures (minimum 2 persons) can be planned on any date. In this case it is possible to opt for small changes in the itinerary, upgrades or cheaper accomodations. Availability & prices on request. 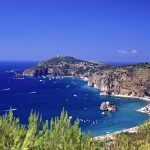 It is possible to extend your tour with a few days in the Cilento area, Naples, Capri or along the beautiful Amalfi Coast.